What is the definition of grilled curry? Put rice in a heat-resistant pot, pour the curry sauce, egg and (cover with a small amount of cheese to prevent the egg yolk from bursting), and the dish baked in the oven is "grilled curry". The baked curry around 1955 was not a melting cheese, but was using process cheese, this is the original "old grilled curry". 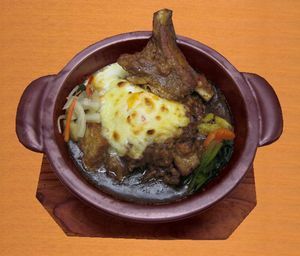 At present, the origin of the grilled curry is here, although it seems to have been grilled with a sprinkle of cheese on one side. 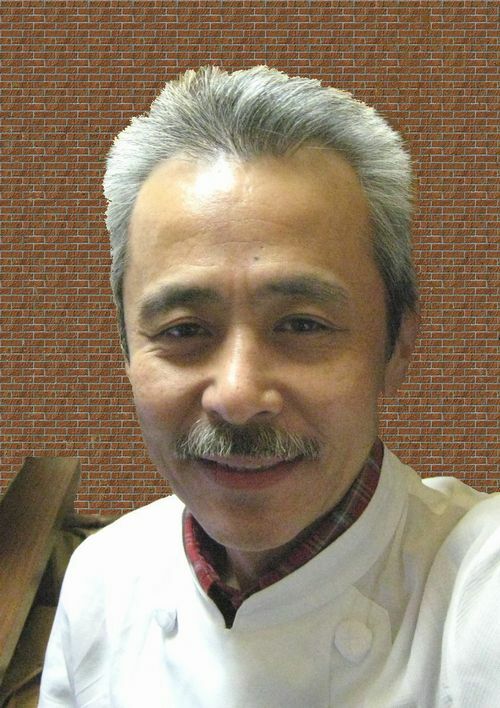 Born in Kitakyushu, Fukuoka Prefecture in 1955. 1979 Western Restaurant "dug" opened. 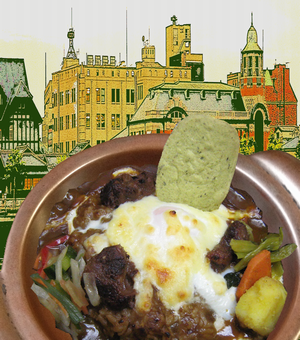 The taste of the bag "grilled curry" is a popular menu. 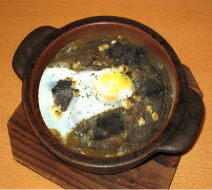 "Curryhonpo" was opened in 1998 at the Kawabata shopping street in Fukuoka City. 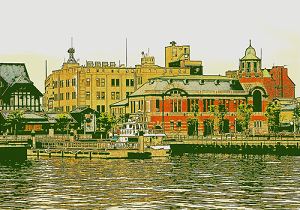 In 2003, he opened the Yokohama Curry Museum. The Hall of Famer was chosen only four stores in the year after. Currently, the company stores and FC shops are being developed. First of all, you can put about 200 grams of rice in a heat-resistant pan, and when you apply butter or salad oil or olive oil on the inside of the pan, it prevents it from being burnt. "The rice of the photograph is a ten grain rice entering "
I think that it is easy to drop the egg when the hollow is made with the spoon beforehand because the egg which seems to be delicious is on the yolk center. Then, the cheese which melts is put on a small amount on the egg yolk, and unlike the dish which uses a lot of cheese like au gratin and Doria, the "grilled curry" by baking curry and egg, I think that the taste of the original curry can be condensed in a short time, but the yolk may explode and use a small amount of cheese for the purpose of covering the yolk with it. This time, I decided to bake a shrimp curry. Seafood is basically more delicious than raw, the flavor of the sauce will be mixed by the grilled seafood. I just put it in the oven and bake it. "Please stand in the oven in advance at high temperature." Now it's done, the bake point is finished in a short time at high temperature, because the egg yolk melts by baking in a short time, but the oven can not do well...! Please try it. This is the old "grilled curry", "I have reproduced the grilled curry that had been made in my home since the Showa 30s" to place the egg and the same boiled beef and cut process cheese is grilled in the same way, however, please be careful not to crack the yolk. Try it. with the fragrant of the sea. 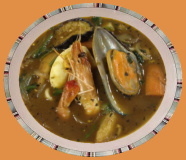 The taste of seafood is mixed and it is a flavor with a mellow depth. I stewed the spare ribs softly. Please relish the taste with the depth of seafood by all means. This is the first beef curry made in the 1960 's.